THEY'RE JUST LIKE US YOU GUYS. 1. Taylor Swift in H&M. 3. Ellie Goulding in River Island. 4. 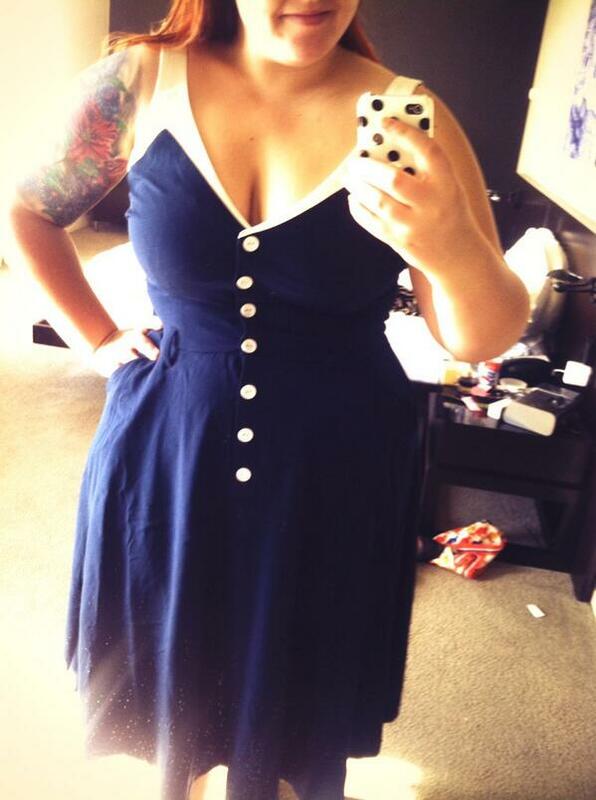 Mary Lambert in ModCloth. Hella love to @ModCloth for my cute new dresses!! Eeeeeeee! 5. Lena Dunham in Nasty Gal. 6. Rihanna in River Island. Wearing jeans from her collaboration with them in 2013. 7. Taylor Schilling in Target. 8. Nicki Minaj in Victoria's Secret. Her getting ready game is on point. 9. Iggy Azalea in Forever 21. An ice bucket challenge for the Every Girl. 10. Selena Gomez in Zara. 11. Vanessa Hudgens in Bongo Jeans. Hudgens became the face of the label in 2014. 12. Lauren Conrad in Urban Outfitters. 13. Jamie Chung in Ann Taylor. 14. Meghan Trainor in American Apparel. 15. Olivia Palermo in ASOS. 16. Kate Middleton in Zara. Drinking wine and rocking a Zara blazer. Or like, your typical Thursday. 17. Sarah Hyland in Target. 18. Demi Lovato in American Apparel. With a bonus appearance by MARNIE THE DOG. 19. Lucy Hale in Hollister. 20. Mindy Kaling in Nasty Gal. 21. Jennifer Lawrence in Topshop. Run out and get your hands on your favorite brands before celebs steal your look in 2015.